Congratulations to our new School Council representatives, who were elected this half term by their peers. Their role is an important one because they enable the pupils' voices to be heard! 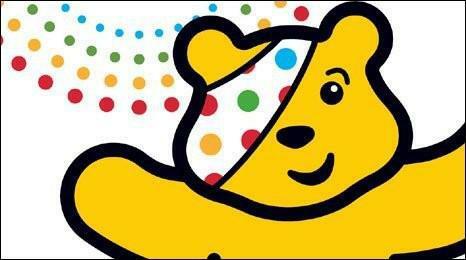 Our Children in Need event will take place on Thursday 17th November. If you have any suggestions on how pupils at Broomgrove Juniors can get involved and fundraise, please record your suggestion in your Class School Council Suggestion Book so that your elected representative can put forward your idea in our next meeting. Remember, we are looking for SPOT-acular ideas this year! Perhaps your idea involves wearing spots; selling spots or maybe even a spotty sponsored event! Anti-Bullying Week is also taking place during the same week (14th-18th November) so it would be extra brilliant if your suggestion encourages working together or making new friends. It could be a simple idea involving just a few pupils, or a big event that includes the whole community - however big or small, we'd love to hear your thoughts! The chosen ideas will be shared after half term, so watch this space for more news about our upcoming Children in Need event! Our pupils have been busy coming up with ideas for raising money for Children in Need this year. Two of our youngest pupils, Sally and Holly in Year 3, had their idea selected by the School Council! 1. Bring in a spotty gift to be used in the raffle or lucky dip. It could be bought or made and ideally something that somebody your own age would like to receive. For example, you could buy a spotty ball, make a spotty bag, or bring a teddy wearing a spotty scarf that you made for it! Please bring your gift into school inside a carrier bag on Monday 14th November. 2. Raffle tickets will be on sale during playtimes on Wednesday 16th and Thursday 17th November. You can buy one ticket for 50p or a strip of five for £2. 3. On Thursday 17th November there will also be a lucky dip in your class. It will be £1.00 for a go and you will definitely receive a gift! Everyone who brings in a gift on Monday 14t will receive a Behaviour Sticker for helping others. Pupils whose prizes are selected for the raffle will also be awarded a ‘Spotacular Fundraiser’ certificate and sticker in a special ‘Children in Need’ assembly! To mark European Local Democracy Week, Essex County Council invited our School Council members to attend a democracy conference, which was held in the Essex County Council Chamber in Chelmsford last Thursday. Our School Council members represented Broomgrove superbly; displaying respectful behaviour, creativity, good teamwork and amazing confidence throughout the day. Jade Etim and Lewis Gibbins delivered a particularly impressive presentation to nearly 200 pupils, teachers and councillors, in which they clearly and confidently explained how Broomgrove pupils would plan and budget for a party, to celebrate the 800th anniversary of the signing of the Magna Carta. They were an absolute credit to the school. Pupils were also provided with an opportunity to ask the Essex Councillors, including the vice chairman, John Aldridge, questions about education. Broomgrove had their question selected: “What are your thoughts on the suggestion that the school day should be longer?” Many of you may be pleased to hear that all of the councillors thought that the school day was the right length already and shouldn’t get any longer! Thank you to the School Council members for representing the school so well and thanks also to Mrs Lyon for joining us on the trip.